GF Ontario Blog: Toronto - VILLA Restaurant Giveaway! Villa Restaurant is one of favourite restaurants. In the heart of Bloor West Village, Villa offers gluten-free pizza, pasta, multigrain dinner buns, salads and even some desserts. Since 2004, Villa has been serving the Celiac community - long before most other restaurants even considered offering gluten-free options and two years before I was even diagnosed with Celiac Disease. Do you know how wonderful it is to go to a restaurant and order gluten-free food right from the menu? I have been there many times and each time the food is great. My go-to meals are usually the Alfredo with gluten-free spiral noodles or pizza with various toppings. If you visit during lunch hours, you also get a side salad with your pizza or pasta order! What meal are you most looking forward to trying at Villa Restaurant? You can check out the menu on their website. Post your entry in a comment below before 11:59 EST on Sunday, December 11, 2011 and you will be entered to win one of two $25 Gift Certificates to Villa Restaurant! This contest is open to Ontario residents only! (This is Gluten-Free Ontario, after all) The winner will be chosen by the owner of Villa Restaurant and I will post the winner's name by Wednesday, December 14, 2011 on Facebook, Twitter and on this page. Gift Certificates expire January 31, 2012. I would love to go there! Thanks so much for sharing!!! And for everything you share! I'm always game to try something new, so I'd go for a GF fig pizza. That place looks great! I'd try the Traditional Pizza with Gluten-free Brown Rice Crust. Sweet potato pizza!!!! My boyfriend and I always go somewhere new for dinner for Christmas instead of giving each other presents, so this could be our new place! Linguini Pollo Pesto please ;) Fresh pine nuts in a pesto cream sauce... yum! I LOVE Villa. I haven't tried the sweet potato pizza- but it sounds awesome! I didn't know about this spot! So excited. I don't eat dairy so I'd create my own delicious pizza with tomato sauce, basil oil, and spinach. @AndreaHarmony - I've been known to order two things on the menu for myself so I can take home leftovers!! The Penne Con Carne looks really tasty! And being able to get a roll with dinner! That pineapple pizza sounds great. I'm on a pineapple thing lately. All of their entrees sound incredible, but what caught my eye the most was the chevre scalloped potatoes. I love scalloped potatoes and haven't had a new take on them in ages. 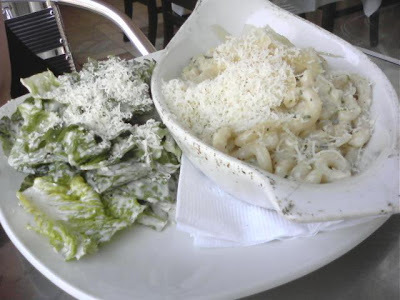 I would love to try the alfredo with the caesar salad - looks delish! Their gluten free Avocado Pizza looks delicious!! And I know my husband would like to buy their regular food as well. They look like a fantastic restaurant! I always ordered a pizza, but should try their pasta dish one day. The Alfredo one looks good! Can't wait to try this place - I am drooling just looking at the menu. I would definitely try their Wild Mushroom gluten-free pizza! Sounds ahhhh-mazing! I miss pizza. Tried to make own crust and it did turned all crumbly. I would order the pizza for sure and left overs is always good. It all just looks so good! and not too far away from me! So nice to see restaurants that you can go to without fear of repercussions! 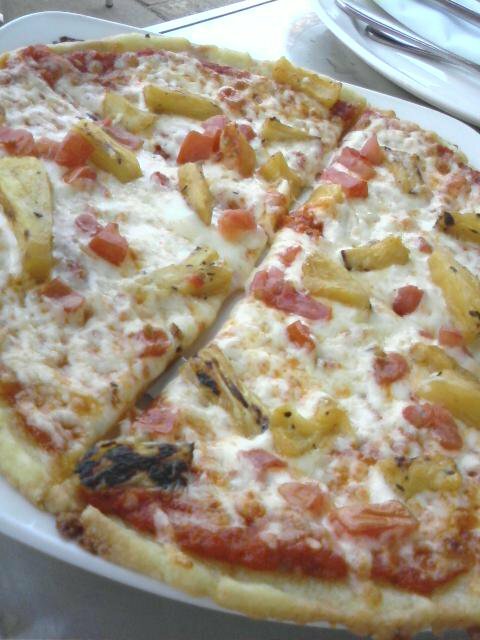 Would love to try the pizza it looks yummy. We always do a Christmas Dinner out with the family and I think this place is where we will go. I would love to try vegetarian pizza on a GF crust. the walnuts and basil oil sound AMAZING!